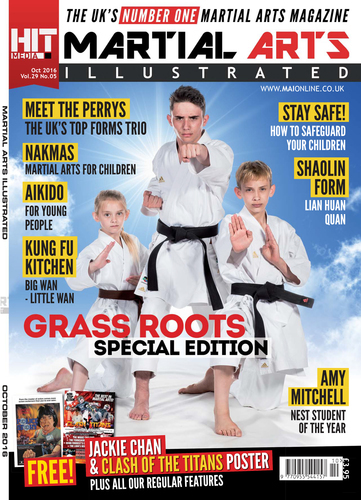 The National Association of Karate and Martial Art Schools (NAKMAS) and Martial Arts Illustrated (MAI) magazine, have joined forces to encourage new youngsters to join their local martial arts clubs. 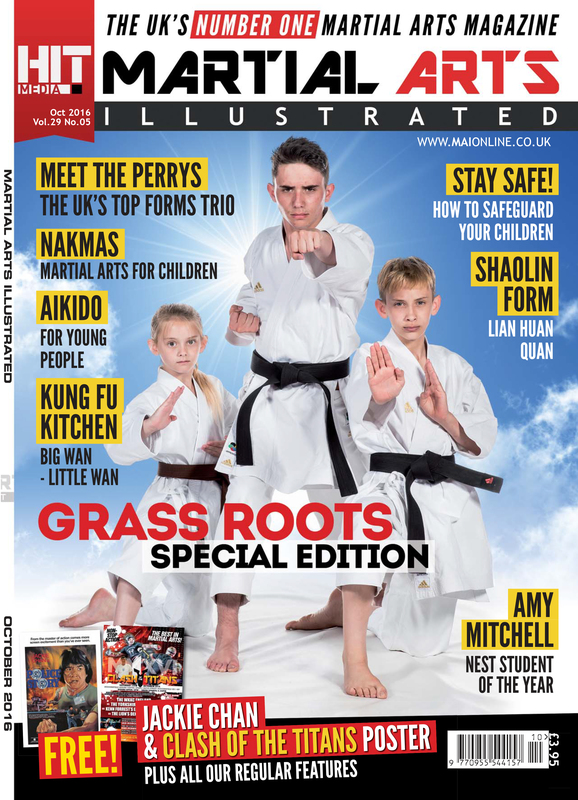 NAKMAS has worked with Martial Arts Illustrated to produce a four-page editorial piece in the special edition ‘Grassroots’ October issue (published this week) outlining the benefits of martial arts for children, as well as skills which are essential and reasons that current and former young students took up martial arts. Chair of NAKMAS, Joe Ellis, said on the accompanying video, found on http://www.maionline.co.uk/grassroots ‘85% of NAKMAS membership is children, and this is why we are keen to support the Martial Arts Illustrated magazine in its new drive for grassroots participation’. There are a whole range of benefits for children participating in martial arts classes. Not only do they encourage an increase general fitness, strength and flexibility levels, they can provide discipline, focus, respectful attitude and behaviour, leadership skills and stress relief to name a few. Of course their key purpose is known to give them the confidence and skills to defend themselves if absolutely necessary, but martial arts give a young student so much more than that. Many clubs focus children’s classes primarily on enjoyment. Children are more likely to respond to learning which has a fun element, while a serious message is being taught. There are clubs suitable for everyone; so it is always worth checking out a few to get the right one for a child’s needs. Martial Arts Illustrated Editor, Bob Sykes said of martial arts for children: ‘it gives them a chance to focus their energy, drive and commitment. Sykes recently affiliated his own chain of martial arts clubs with NAKMAS; a choice he made after a lot of research into their ethos and service offered, as well as their commitment to younger students. NAKMAS is particularly concerned that students of all abilities, regardless of any special physical, emotional, social or other needs, be given the opportunity to try a martial art. NAKMAS Director of Operations, specialist in autism education and author of Autism and Martial Arts: A Guide for Children, Parents and Teachers (ISBN: 978-0-9933142-0-9), Dr Sandra Beale-Ellis, said ‘it is heart-warming to see children and adults with low confidence for any number of reasons, train for years and eventually become confident, self-assured black belts’. ‘We have been delighted that Martial Arts Illustrated chose to focus an issue on grassroots participation, and that they invited us to work with them on this rewarding and worthwhile project’. This press release was distributed by ResponseSource Press Release Wire on behalf of NAKMAS in the following categories: Children & Teenagers, Leisure & Hobbies, Sport, for more information visit https://pressreleasewire.responsesource.com/about.